From using a photo of Winston Churchill on his own LinkedIn profile to often referring to him during lunch, Peter Armstrong has a passion for the formidable British leader. Indeed, we’re sitting in Hawksworth Restaurant, kitty-corner to the downtown Hotel Vancouver, where the 65-year-old began his career on the hospitality front line as a doorman and bellhop. Over Pacific cod curry, the new inductee to the Business Laureates of British Columbia Hall of Fame explains why he chose BCIT’s hotel management program over the legal or accountancy training favoured by his peers. Such nods are as constant as his Churchillian ones. Armstrong combines his earlier love of sports such as rugby and rowing with the management philosophy he’s created during his transport-heavy career. After leaving Hotel Vancouver, he bought two buses to form Spotlight Tours Ltd. in 1974 (filling a gap where there were more tourists than available seats), then acquired airport coach group Trailways of BC two years later before becoming a minority partner in Gray Line’s regional bus fleet in 1979. 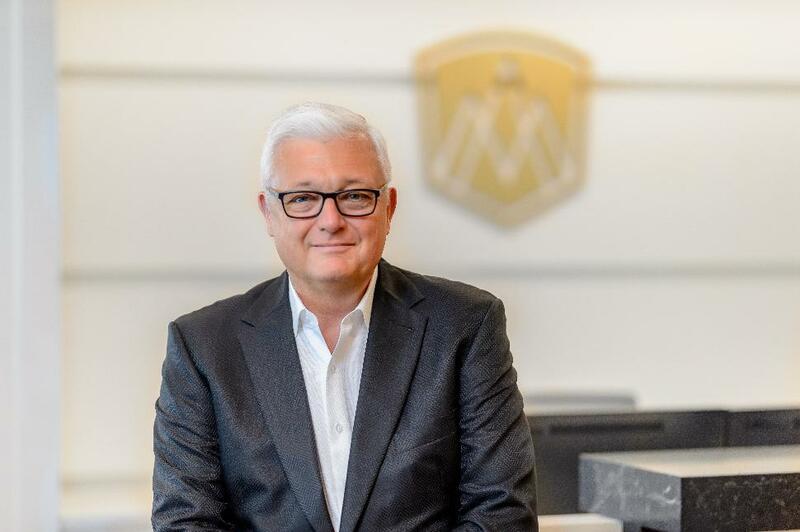 When part of a VIA Rail Canada service to the Rockies was privatized nearly 30 years ago, he launched the Rocky Mountaineer, now the largest privately owned passenger rail service in North America, with 280 full-time employees. Today Armstrong is “passing the ball” in part to his three adult children (Ashley, Chelsea and Tristan), who nearly 18 months ago joined long-time chair John Furlong, former CEO of Vancouver’s 2010 Olympic and Paralympic Winter Games, with him on the Rocky Mountaineer board. Not that he wants them to simply fall in line with his way of thinking, says the resident of the West End, where he lives with his partner, Suvina Mah.